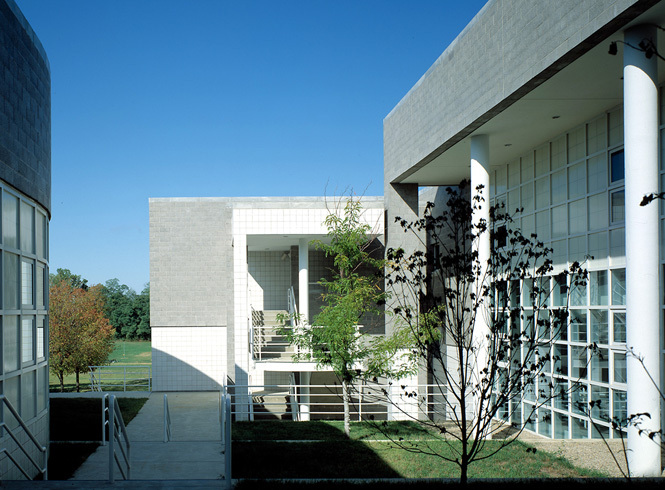 The Clifty Creek School, a public school for kindergarten through sixth grade, is built on a sloping site near Columbus, Indiana. 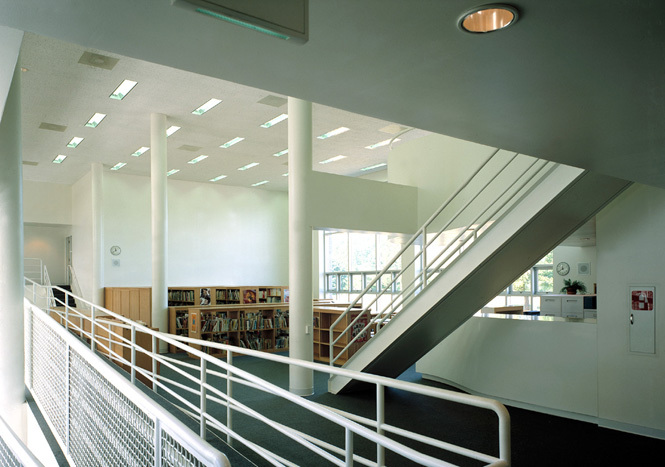 A system of ramps connects the three story classroom wing with the school’s service and specialty areas. 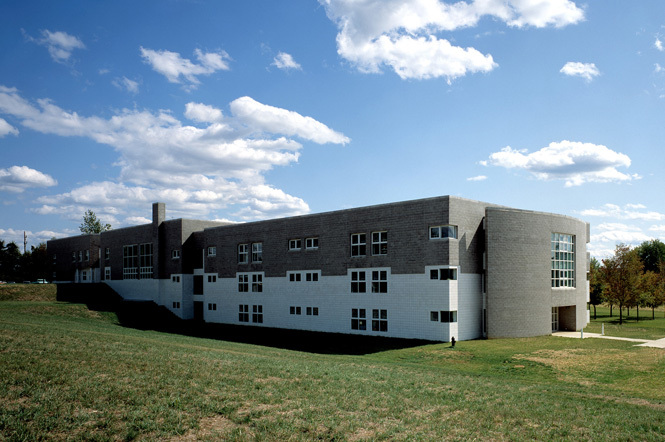 These areas are organized in an eroded four-square plan with each square containing a different activity center: library, cafeteria, gymnasium and art rooms. Adjacent to the connecting ramps, the library is centrally located to encourage student use.